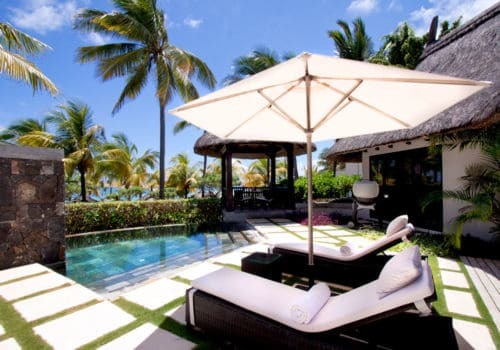 The lovely LUX* Belle Mare is tucked away in lush tropical gardens near the quaint, sleepy village of Belle Mare. 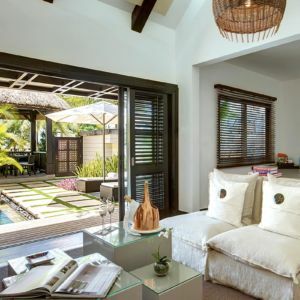 Kelly Hoppen has breathed new life into the resort with the property dressed in soothing whites and vibrant brights and each of the thatch-roofed suites and villas is blessed with sea views. 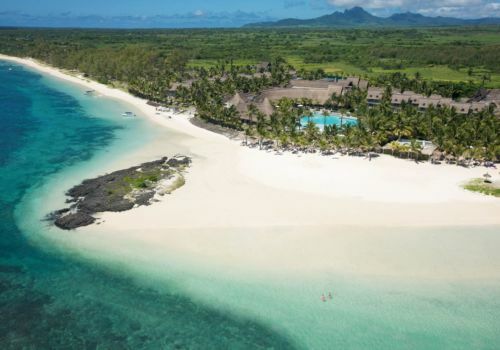 And what a view it is: an unspoilt sweep of powder-soft sands, crystalline waters in sparkling shades of beryl blue, coconut palms swaying gently in the breeze – undoubtedly one of the best beaches in Mauritius. At the heart of the resort, you’ll find the island’s largest swimming pool which provides an idyllic spot for lounging and mingling, gently buzzing by day and sashaying to Balearic beats by night. 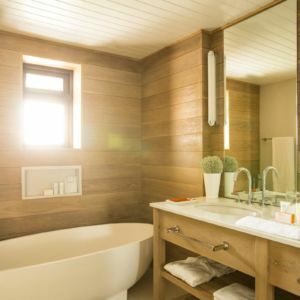 Designed by Kelly Hoppen to convey a beach house feel with a touch of elegance. 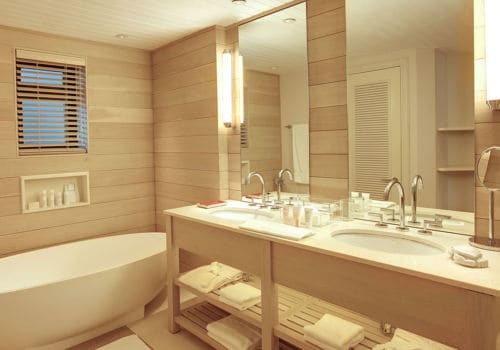 Each suite is equipped with a king-size Sleep Tight bed, dressing room and luxurious bathroom with large walk-in shower, two wash basins, bath and separate toilets. 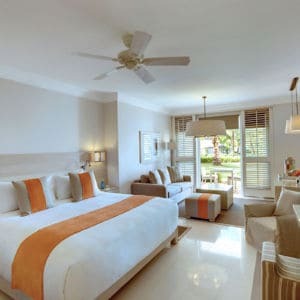 Very conveniently located close to the hotel lobby and offering direct access to the swimming pool, Pool Junior suites offer wonderful views across the swimming pool, landscaped tropical gardens and the lagoon. 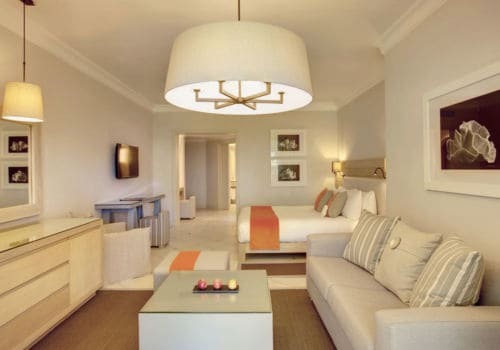 With all the amenities and comforts of a luxury suite on offer; enjoy complimentary high-speed Wi-Fi and settle in for a night with a movie on demand through IPTV. Beach Front villas at LUX* Belle Mare are perfect for a Mauritius honeymoon. 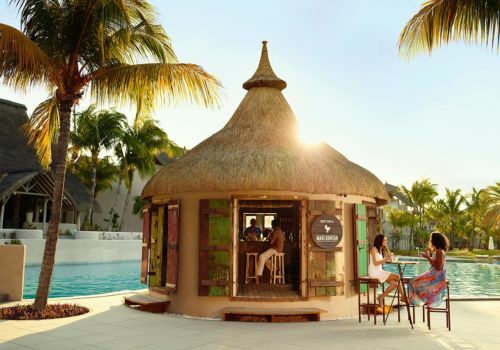 The straw shelter on the patio forms the perfect location for romantic meals and alfresco living whilst the private garden has direct access to the beach. 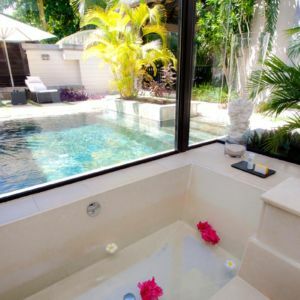 Oh and there’s your very own plunge pool! 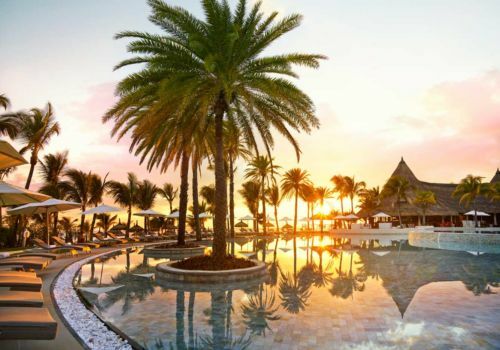 The hotel is set on Mauritius’ widest stretch of beach and is the perfect spot to watch the sun rise whilst sitting on its soft white sand. 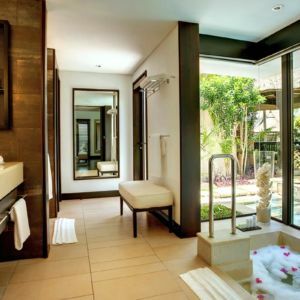 Enjoy morning yoga and the paradise-like feel of this resort’s location. Turn your hand to horseriding on Belle Mare Beach as you canter along the pristine beach. It’s hard to leave this beach though once you get settled. 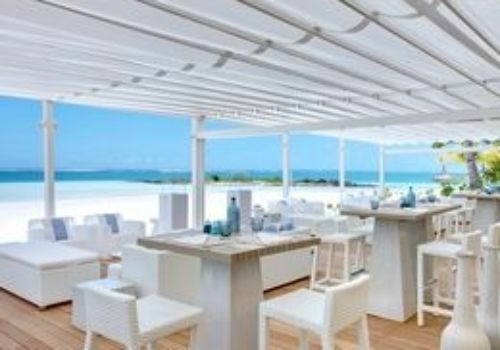 The Sandy Toes Bar has everything you need just a few feet from your sun lounger. 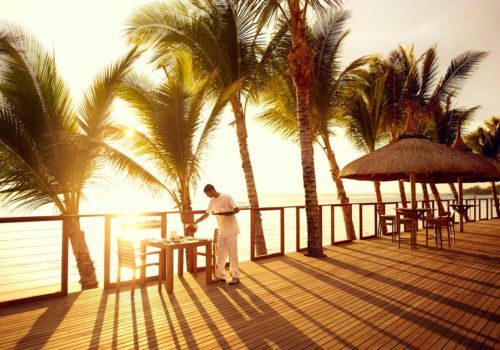 There’s an on-call concierge to bring you cocktails and a sumptuous beach barbeque. 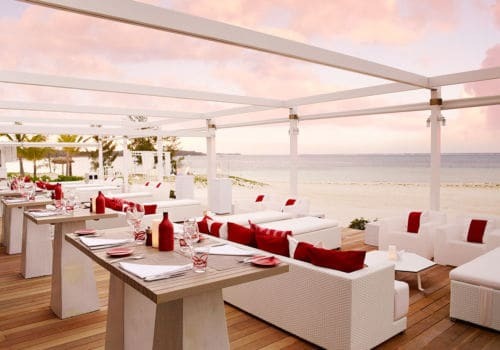 We recommend enjoying a glass of Frozé, the resort’s speciality drink which is a frozen Scrucap rosé. At MIXE, conventional all-day dining is turned on its head. 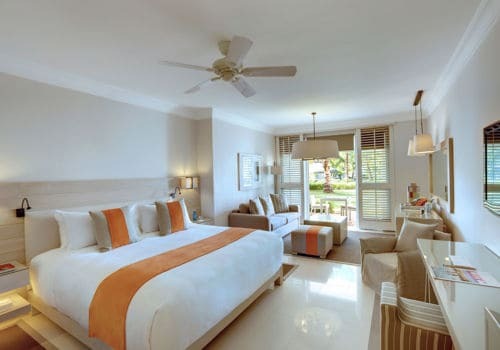 With views of the glittering ocean and expansive swimming pool, MIXE dishes up a tempting all-day menu of island specialities, from a fresh sprawling breakfast buffet to round-the-world gastronomic delights. 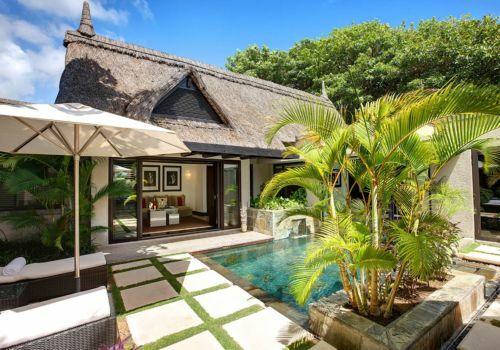 It’s a spectacular spot: there’s a Josper-style grill, live cooking stations, Asian and Spicy Curry corners, glass tandoor, saj oven for oriental bread-making and a Japanese teppanyaki area. Sweet things also get a starring role, including a dedicated chocolate room where guests can watch and participate in live cooking sessions, a glass oven for viennoiseries and a lavish display of pastries and desserts. For a dash of Asian spice, head to Amari by Vineet, the resort’s new Indian restaurant – a clean-lined but opulent space for the Michelin-star chef’s scintillating fare. A leading light in the reinvention of Indian cuisine, Chef Vineet Bhatia won his first Michelin star at Zakia in London in 2001, followed by another in 2006 for his personal venture ‘Rasoi’ in London as well as in 2009 for ‘Rasoi by Vineet’ in Geneva. His masterful technique makes the textures and flavours of India shine, in sumptuous, subtly spiced dishes with contemporary flair. Named after Kelly Hoppen, the K-Bar entertains with its dragon-inspired cocktails and headlines with another LUX* first: a microbrewery feature in this ‘gastro pub’, where an exclusive range of craft beers are available on tap. 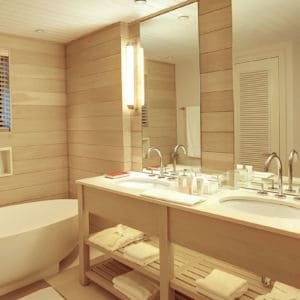 Excellent coffee is a must, not a luxury; that’s why you’ll find a Café LUX at the heart of all our resorts and hotels. Café LUX has revolutionised the world of hotel coffee, and our commitment remains clear: to offer our guests the finest barista-made coffee, day or night. Great coffee begins with freshly ground beans, so we roast our own in our on-site roasting rooms, which can be explored on our aromatic behind-the-scenes tour. Our specialist baristas keep up with all the latest trends and techniques – including Cold Press, Pour Overs and Nitro coffee. Bespoke ‘pod’ machines and a variety of Café LUX* blends allow guests to enjoy an aromatic cup in their room, and even at home.